Some years after Bringing Them Home was published in 1997, Ronald Wilson excused himself for not having called as witnesses any of those responsible for the policy. He pleaded insufficient funds in his budget. However, at the time, he could afford to employ a full-time media officer for twelve months to publicize hearings to indigenous and non-indigenous communities and still find enough money to employ public relations consultants to gain maximum exposure for his report in the news media. To sell its story to the public, the Human Rights Commission mounted one of the most successful public relations campaigns in recent Australian history. Indeed, it was so proud of its media exploits it found even more public money to employ another media consultant to survey the coverage and analyse its impact. 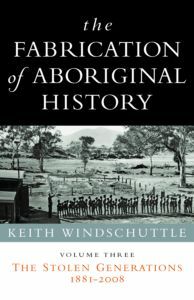 This second project, which was funded by the Australian Institute for Aboriginal and Torres Strait Islander Studies and con­ducted by Mervyn Smythe and Associates, produced two 100-page reports that were published in June 1998. The Bringing Them Home report was tabled in federal parliament on 26 May 1997. In terms of both convention and protocol, this would normally have been the first public airing of a report of this kind. However, more than a week before, the Human Rights Commission leaked copies to all major newspapers and gave special briefings to reporters known to be sympathetic to its cause. This strategy worked remarkably well. In anticipation of the official tabling, press coverage began on the front pages of most newspapers on 20 and 21 May. For the next week the Human Rights Commission had public commentary all on its side. There was no chance for sceptics or critics to question or challenge its findings because no one outside the press had a copy of the report. Most politicians had to wait for it to be tabled in parliament. In this period, media coverage was overwhel­mingly favourable to the report and set an agenda that was never derailed. To flesh out claims of from 30,000 to 100,000 children stolen from their families, newspapers presented sympathetic case studies of stolen children accompanied by comments from people, including tennis champion Evonne Goolagong, agreeing with the findings. In The Australian, supporting material included the story of a German concentration camp survivor. Under the heading ‘Auschwitz child shares pain of stolen generation’, the inquiry’s assertion of genocide was reinforced. The report was covered not only in the news and opinion pages but cropped up in several other contexts, including features on art exhibitions and reviews of television programs. Even the computer supplement of The Australian ran a story under the heading ‘Your chance to say you’re sorry’, telling readers of a website that allowed people to record individual apologies. As the nation shares the shame, an apology from the Prime Minister would also be appropriate — The Australian. The mealy-mouthed and vague expressions of regret also add to the bur­den the victims still bear — Canberra Times. There is little to be lost from issuing an unconditional national apology — Australian Financial Review. It would be a marvellous act, a sign of true white concern rather than mean spirit, if the Parliament of Australia could find the words to frame an apology for those deeds — Advertiser, Adelaide. Only a minority of the press gave anything less than full support. The Daily Telegraph, Sydney, and the Herald Sun, Melbourne, thought Howard had done enough in a speech to the Reconcilia­tion Con­vention where he expressed his personal sorrow instead of giving an official apology. ‘Many more Australians outside that venue,’ said the Telegraph, ‘will applaud his commonsense commit­ment to real change and disregard superficial gestures.’ Some news­papers also had concerns about the word ‘genocide’ and with the idea of giving monetary compensation. However, according to Mervyn Smythe, a great many of the 85 articles published in news­paper opinion pieces and com­mentary pages strongly supported those elements of the report. In the first month of coverage, the report attracted the equivalent of 68 full pages of text in ten newspapers. The value of this coverage in the press was equal to advertising expenditure of $1.5 million. On television the equivalent of the news coverage was worth $9 million, and on radio the equivalent of $1.5 million. 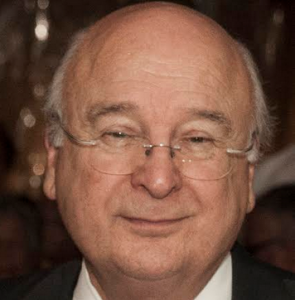 In the twelve months following May 1997, Mervyn Smythe estimated the total coverage on all three media was worth an advertising equivalent of $18 million. In terms of the content of the report’s coverage, for that part which we have been able to analyse, the coverage has been on the whole extremely favourable whether examined in terms of the directly expressed attitudes shown in the editorial and comment/opinion sections of the newspapers or those more indirectly reflected in the news/feature sections. Despite com­ments by some Government figures, and a few media commentators, the coverage of the report has reflected a situation in which its findings have been seen by most writers/editors as having been proved as opposed to being still open to question. The Howard government, however, refused to agree to any com­pensation or reparation, or even to apologize. To the continuing scorn of all the report’s supporters, including a significant number of Howard’s own backbenchers, the government questioned the very notion of the Stolen Generations. In April 2000, a submission to a Senate enquiry by Minister for Aboriginal Affairs, Senator John Herron, disputed both words in the term. Children had not been stolen, he said. The removal of children was ‘lawful and benign in intent’ and at no time amounted to anything like one whole genera­tion, since no more than 10 per cent of children were ever sepa­rated. A little later, Federal Court Judge Maurice O’Loughlin (himself a former barrister on the pro-Aboriginal side) found in the first test case against the Commonwealth that neither of the two claimants for damages, Peter Gunner and Laura Cubillo, could establish they were stolen children. Nor could he find any evidence of a systematic policy of forcible removal of Aboriginal children on the basis of their race. Much of the media, however, reported this not as a defeat but as an obstacle that only steeled the claimants’ resolve. Some of the press portrayed the verdict merely as a temporary setback: ‘We’ll fight on, vow stolen children’, ‘Matter far from over, say blacks’, ‘Legal win “does not deny stolen generation”’, ‘Stolen generation cases fail but more will follow’, to list only those head­lines published in the Sydney Morning Herald. Despite its opposition to their demands, the Howard government funded the claimants’ original case and their appeal all the way to the High Court, where it again failed.